We all love gardening, but there’s no denying that it can sometimes be something of an expensive hobby. 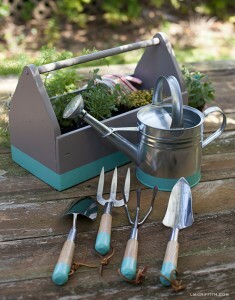 After all, there are a lot of different items which you have to buy in order to keep your garden growing. Everything from soil and seeds to nutrients for your plants and new gardening tools cost money, and that’s not even factoring in the more advanced kind of specialized supplies that are necessary to maintain the best gardens. For as much fun as it can be, gardening can be a lot of work, and costly work at that, which is why you might just want to look to turning your pastime into profit. Here are just a few ways to make some extra green with your green thumb. The obvious first answer here is to sell what you grow. This is definitely a tempting option, and it may feel like the most natural. However, for several reasons, this may not be the best way to turn a profit on your gardening. In the first place, the competition is just killer on the mainstream market—not from your fellow hobbyists, but from massive, subsidized, corporate-controlled farms. They pay good money for that market dominance, and they aren’t going to cede it to you that easily. What’s more, finding a commercial buyer this way can be tricky. However, there’s an expanding market for garden-grown, all-natural health products on the Internet. The alternative food and health scene right now is hot, and the Internet allows you to cut out the middle man in terms of distribution and deal directly with the client. This allows you to keep costs down on your end, pass those savings on to the client, and still make a bundle while selling specialty foods. A variation of this idea would be to market specialty tools or novelty garden decorations. Are you a particularly artistic person, and love arts and crafts? Then this option might be just right for you! Last but not least, there’s always the option to do just what we’re doing right now—writing a gardening blog! Writing for gardening sites or starting your own can be a great way to not only pass along all kinds of different gardening tips, but to do so while still making a little green with your green thumb, ensuring that your garden—and bank account—continues to grow!